Tired of Unreliable Treadmill Reviews? "TreadmillTips.com provides unbiased treadmill reviews, treadmill ratings and buying tips so you can choose the best treadmill for your need." This site does all the research to answer buyer's questions. From the product, to the company behind it, up to what other people are saying about each individual model. I've spent the time and energy researching so you won't have to. I do believe that you need to see through the marketing hype to really make an informed buying decision. So expect to get both sides of the story, the good and the bad, to help you in your buying decision. Hopefully, these treadmill reviews, treadmill ratings and buying tips would be useful in your search for that perfect treadmill. After years of research and studying treadmills, there are now hundreds of reviews on this site. 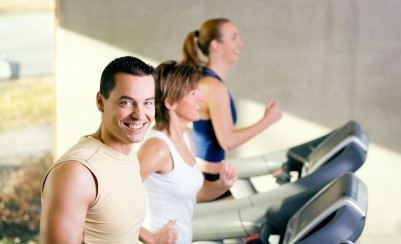 If you are a first time visitor and don't know where to start, I suggest you visit our best buy treadmills page first. There, you will find the best treadmills that I recommend arrange by price. You may also check out the table of contents below if you are looking for a specific treadmill brand or use our search function if you already know what you are looking for. If you want rave or rant about a treadmill you own or use, please feel free to visit our best treadmill or worst treadmill experience page. I encourage everyone to share their experiences whether it be good or bad to benefit would be buyers of the same treadmill.